It wonders what motivates Captain America and Iron Man? What drives them to make the decisions they do? Why would they suit up in the uniform and slip into the armor in the first place? And then it goes and answers those questions. It is this attention to character, and what I can only call purposeful, simple storytelling, that makes Civil War such a moving and enjoyable film. Is it the best entry in Marvel’s cinematic universe? Possibly. Probably. Worth the price of admission? You betcha. 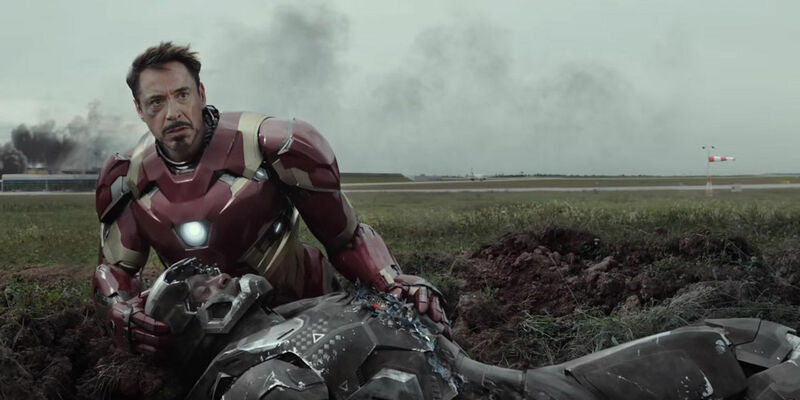 Iron Man considers the cost of going to war. For the uninitiated, Civil War loosely follows the Marvel Comics comic book event series of the same name. In both stories, Iron Man and Captain America (Robert Downey Jr and Chris Evans) find themselves on opposite sides of the philosophical aisle when it comes to whether the government should regulate super-powered individuals or whether they should have the freedom to act on their own when they see fit. The movie does a fine job of graying the lines. Most viewers will find both arguments compelling. Tony “Iron Man” Stark, reeling from guilt after a confrontation with the mother of a victim killed during the action in Avengers: Age of Ultron, believes the super team should be kept in check by others. Checks and balances. Totally understandable. Steve “Captain America” Rogers is concerned any oversight committee will have an agenda - and agendas change. He argues that oversight will take away their freedom of choice, letting others decide who they save and who they don’t. Every other hero falls on one side of the argument or the other. But they all understand the other side’s argument. This makes it difficult for every character to act with true conviction. They are all conflicted, internally, which makes the external action all the more powerful. Civil War digs deeper by reinforcing a number of friendships - and possible romantic relationships - and then turning those friendships on their head. This is true for every relationship featured in the film. Vision’s (Paul Bettany) attachment to Scarlet Witch (Elizabeth Olsen) is possibly the most poignant, beyond the Cap, Bucky and Iron Man triangle. 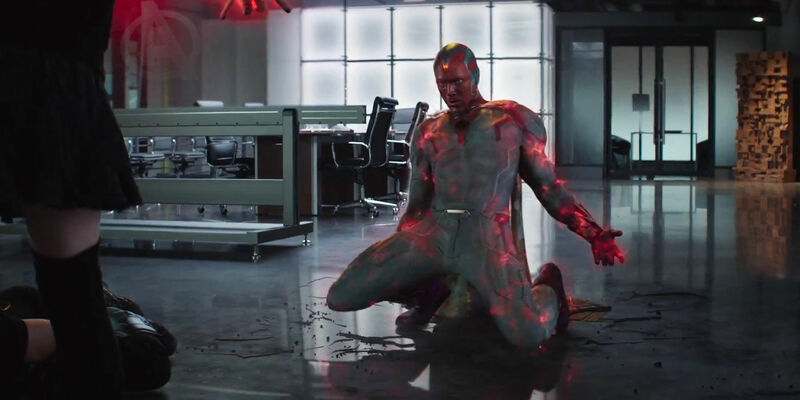 Vision’s fondness for her (a challenge for Vision, since he is a synthetic being with synthetic emotion), and her growing fondness for him, is almost shredded - figuratively and literally - when they fall on different sides of the debate. But Cap’s decision to support his lifelong friend Bucky/Winter Soldier (Sebastian Stan), even if that means severing his friendship and partnership with Stark, is the real conflict in the film. It drives the narrative from beginning to end. It’s this internal struggle that’s the true Civil War in the film. It gives the flying shields and repulsor blasts meaning. There’s “there” there, as some might say. And it’s what sets it apart from other hero vs. hero films. Civil War is the second Marvel effort by Cleveland’s own Joe and Anthony Russo. Their first was the critically acclaimed Captain America: The Winter Soldier. 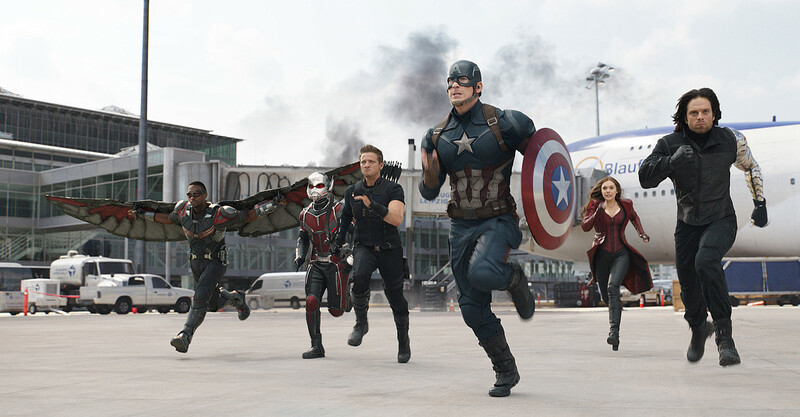 With Civil War, the Russos show that their deft hand at action, adventure, humor and character drama is no fluke. The directors shot Winter Soldier in Cleveland and provide a brief nod to their hometown in Civil War. The scene, which captures the secluded life of Cold War villain General Vasily Karpov, will resonate with Northeast Ohioans who remember John Demjanjuk, alleged to be the real-life “Ivan the Terrible,” a man responsible for the death of more than 28,000 Jews during World War II. Demjanjuk was also a former Soviet Red Army soldier who eventually immigrated to Cleveland. The Russos are phenomenal at delivering sobering moments. The heroes’ reaction to the inciting incident - a moment when novice actions result in collateral damage - is pitch perfect. The audience, adrenaline pumpings, realizes at the same time that there are consequences when superpowered people brawl in public places. The big battle between heroes is possibly the most exciting set piece in any superhero film so far. Joss Whedon’s final battle in The Avengers is a close second. But if you’re a comic book reader, you’ll appreciate the individual moments, the banter between the heroes and the spotlight on individuals powers and match-ups. It was at this moment I noted the film as whole feels like an event comic - with a main story thread encompassing all the heroes and tie-in issues featuring individual stories. 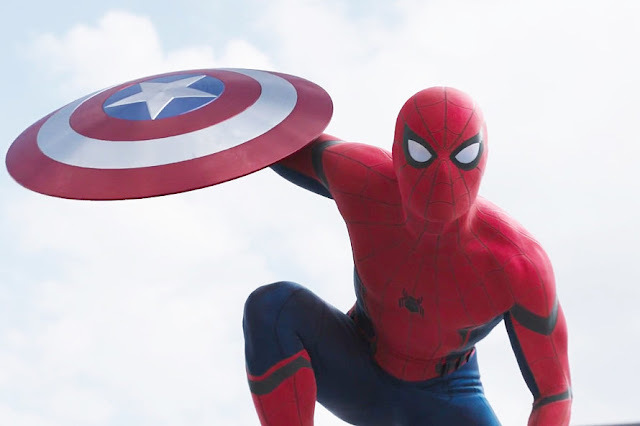 Spider-Man’s introduction to the MCU is a homerun. As some other reviewer noted, the moment fits the story and doesn’t feel shoehorned in. Tom Holland’s Peter Parker is a breath of fresh air, too. His small stature and young appearance really reworks the character, while staying true to Spidey’s history. Like Spidey, Black Panther’s introduction is brilliant as well. Chadwick Boseman, as T’Challa, carries himself with the regal air we expect from the Prince of Wakanda. You’ll want to learn much, much more about this hero and his country by movie’s end. Stay for the credits, as always. A mid-credits scene works as a sort of epilogue to the main story, while the final tag is a nice extra touch.